A new state-of-the-art Mercedes-Benz retail centre now under construction will be air conditioned with Toshiba’s award-winning Super Heat Recovery Multi (SHRM-e) variable refrigerant flow (VRF) system. 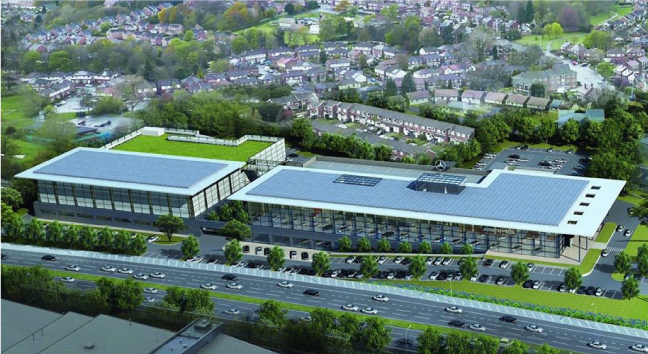 Located on a 10.5-acre site near Stockport, the development will be the largest Mercedes-Benz facility in the UK, and includes the brand’s largest showroom in Europe, 32 workshop bays and a high-tech body and paint repair facility. Toshiba Carrier UK Ltd. is a joint venture between Toshiba and Carrier in the United Kingdom, and is part of Carrier, a leading global provider of innovative heating, ventilating and air conditioning (HVAC), refrigeration, fire, security and building automation technologies.